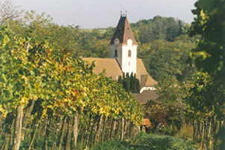 Already documented in 1230, surrounded by gently rolling vine-covered hills, Ruppersthal has a population of 600 and covers an area of about 250 acres. 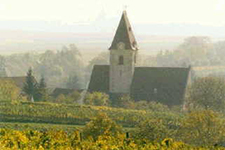 In this wonderful wine and flower-growing village (which has several times won awards for floral decoration), visitors can sample noble wines, stroll through the area filled with small monuments of the 18th and 19th Centuries (memorial tablets, plague memorials, earth cellars) and also visit the centre of the village (with its church and Pleyel-memorial). 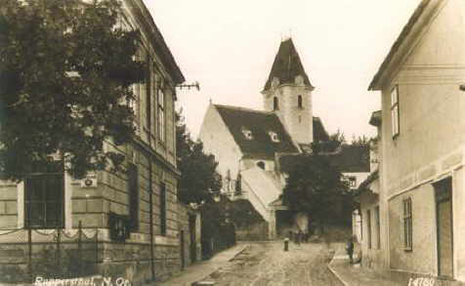 The church, dedicated to St. Aegydius, is surrounded by an old and picturesque cemetery, where Pleyels parents lie buried. 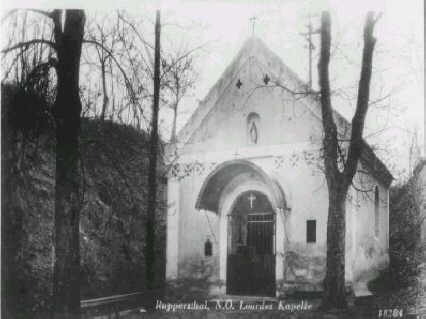 The church was originally a Medieval and Late Gothic stave church, which was later baroquified. The Late Baroque pulpit(1735 - 1737) by Johann Sebastian Gürner shows four Church Fathers. The pulpit's roof is crowned by the figure of Jesus as Good Shepherd. The "Resurrection" (1737), a wood statue of the resurrected Saviour with flag. It was carried on its own pedestal on Resurrection processions by young girls and was then placed in a side altar until Ascension Day. The High Altar with the remarkable altar image by Eques de Rottiers from 1739, with angels on the side and at the crest, above it the Eye of God. 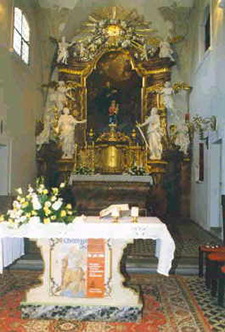 The free-standing altar table is decorated with baroque figures of St. Peter and St. Paul. 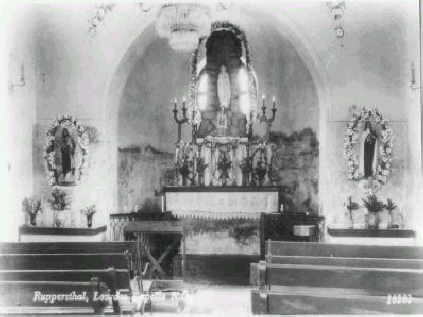 The side altars are decorated with figures by Bernhard Schilcher (documented for 1762 and 1763) and the organ (built in 1903 by Franz Capek). The most famous of the church bells was cast by Franz Rodtlmayer in 1775. A remarkable and historically important building located at the southern edge of the village, painstakingly restored in the correct style by the family of Dr. Müller, is the manor house (Late Baroque, partially rebuilt in the 19th Century). In the garden the remains of a garden gate in the "Zopfstil" style of the 1780s can be found.